The brand-new 2018 Volkswagen Atlas was designed to handle any and every adventure. This midsize SUV balances its ample space – which includes 33.7” of legroom in the third row – with agile handling further enabled by Tiptronic® and Sport modes. And the 5-star safety rating from the NHTSA* means you’ll feel confident on every drive. Gather the family and let your next journey begin in West Palm Beach, Florida, with the stylish VW Atlas. Platinum Gray 2019 Volkswagen Atlas SE w/Technology FWD 8-Speed Automatic with Tiptronic 3.6L V6 Schumacher discount Price includes all incentives, excludes government fees, taxes, finance charges, dealer fees, and electronic filing charge. Offer cannot be combined any APR specials, Must finance through Volkswagen Financial Services. Not everyone will qualify, Please see Schumacher Volkswagen for complete details. Reflex Silver 2019 Volkswagen Atlas SE w/Technology FWD 8-Speed Automatic with Tiptronic 3.6L V6 Schumacher discount Price includes all incentives, excludes government fees, taxes, finance charges, dealer fees, and electronic filing charge. Offer cannot be combined any APR specials, Must finance through Volkswagen Financial Services. Not everyone will qualify, Please see Schumacher Volkswagen for complete details. Blue 2019 Volkswagen Atlas SE w/Technology FWD 8-Speed Automatic with Tiptronic 3.6L V6 Schumacher discount Price includes all incentives, excludes government fees, taxes, finance charges, dealer fees, and electronic filing charge. Offer cannot be combined any APR specials, Must finance through Volkswagen Financial Services. Not everyone will qualify, Please see Schumacher Volkswagen for complete details. Pure White 2019 Volkswagen Atlas SE w/Technology FWD 8-Speed Automatic with Tiptronic 3.6L V6 Schumacher discount Price includes all incentives, excludes government fees, taxes, finance charges, dealer fees, and electronic filing charge. Offer cannot be combined any APR specials, Must finance through Volkswagen Financial Services. 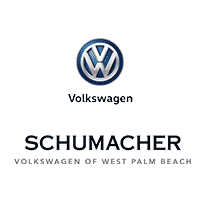 Not everyone will qualify, Please see Schumacher Volkswagen for complete details.